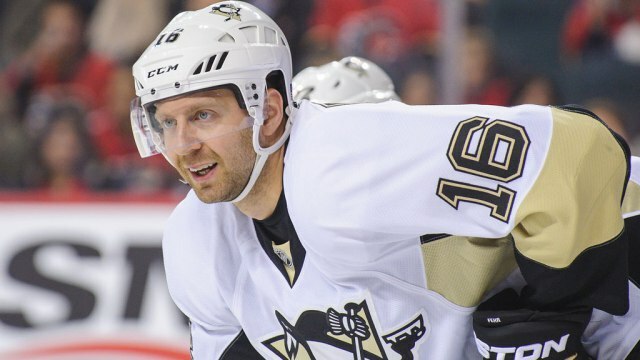 I'm writing to express my sincere gratitude for your decision to not re-sign Eric Fehr last spring. You had a long list of players with expiring contracts. I understand you had priorities. Players like Braden Holtby, Evgeny Kuznetsov, and Marcus Johansson. With Fehr coming off a shoulder injury and needing elbow surgery, it makes sense that you were hesitant to give him a multi-year contract. It was time to say goodbye to your 2003 18th overall draft pick and fan favorite Fehr. All the time you spent last season shuffling Fehr between lines and positions has been extremely helpful. That experience has made him an invaluable player for us and we have the utmost confidence using him on our second, third, and fourth lines as a center or right winger. With the number of injuries we've had over the last few months, his versatility helps make lineup decisions a lot easier. After missing October due to his off-season elbow surgery and February and early-March due to a knee injury, he hasn't produced much points-wise during his 55 regular season games (8G-6A-14P). (It should be noted, we don't really count the 2015 part of the season around here.) But what he adds to our penalty killing unit and locker room is significant to a team whose roster is filled with guys who started this season in the AHL. Plus, his 4 shorthanded goals this year were good enough to be ranked 3rd in the NHL this season. Recently, we put Fehr on a line with Evgeni Malkin. And can you believe that our Eric had a Corsi For of 67.86% in Game 3 on Tuesday night? Just behind Kessel and Letang! We've been trying to find suitable linemates for our other generational center since he returned to the lineup, and I think Fehr is the kind of a player whose style meshes well with Malkin. I can't wait to see more of what they're capable of. The surface has only been lightly scratched. Thank you again for your generous contribution to the 2015 free agent market. Your generosity has provided the Pittsburgh Penguins with a 6-foot-4, versatile, penalty killing, two-way forward and seasoned veteran. And children's book author. Because of your help, Eric will play an important role in helping our team win the 2016 Stanley Cup. I love this so much. The men in my family are Caps fans, so I watch a lot of their games and always thought Fehr was one of their best, well rounded players. When the Pens signed him I was thrilled, but my son tried to play it off by using the shoulder surgery as a huge negative for the Pens. Pretty sure he just didn't want to admit it was a bad move on the Caps part. I'm glad to hear you have the brains in your family! 😄 I think the Caps wanted to keep him if the price was right. Fortunately for us it wasn't. I thought his absence from the lineup in February was noticeable but everyone was focused on Malkin being out. Understandably. I think he's one of the most underrated players on the team and is a great complement to Malkin. Thanks for reading!